Classroom technology leader to give away over $25,000 in interactive technology; asks students and teachers to collaborate on nationwide Google Maps mashup. It is open to all teachers and students in the United States. Denton, TX – April 8, 2008 – Merging content with technology when they joined forces in December, eInstruction™ and the former Interwrite Learning™ today announced “Content Meets Technology”, a first-of-its-kind sweepstakes that asks teachers and students to submit, using 250 characters or less, their vision of the role of technology in education. Those thoughts will then post to an interactive Google Map mashup on the eInstruction site. The “mashup” of Google Maps (technology) and the student/teacher collaborations (content) is designed to mirror the merger of eInstruction and Interwrite Learning. The student/teacher submissions, which will only be required for posting to the map, should highlight classroom achievements made possible by the use of technology or focus on the benefits of a technology-empowered classroom. The work, along with the name of the school, the grade, and the teacher’s name, will appear on a Google Map of the world on the sweepstakes’ Web site. Winners will be awarded an interactive makeover prize package . The contest will name one winner from the following three grade level segments: kindergarten through fifth; sixth through eighth; and ninth through twelfth. The sweepstakes is not limited to users of eInstruction or Interwrite Learning products. It is open to all teachers and students in the United States. 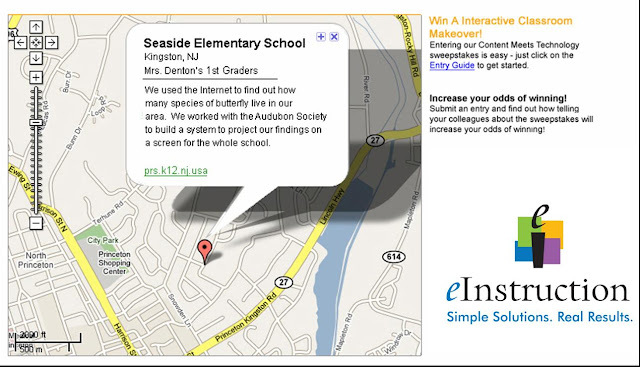 To encourage participation in the Google Map mashup, eInstruction will provide those teachers a referral bonus: for each teacher they successfully refer, they will receive an additional chance to win (total chances per teacher are capped at eleven per single entry). All participants will submit their work by going to eInstruction website and clicking the “Content Meets Technology” link. The sweepstakes begins on Tuesday, April 8, 2008 and ends on Thursday, May 13, 2008. Winners will be chosen randomly from each grade category and announced on Monday, May 19, 2008. The Content Meets Technology Sweepstakes arrives on the heels of Interwrite Learning’s 2007 Video Makeover Contest, in which more than 220 classes submitted music parody videos. The success of that contest has prompted eInstruction to schedule the second annual music parody contest; teachers and students can begin submitting their musical collaborations September 9, 2008.
eInstruction pioneered the first student response system for the education market during the 1980s. Its Classroom Performance System (CPS) provides instructors and students with real-time feedback on comprehension during instruction. Today CPS remains the leading student response system in education, being used with over 1.5 million students in more than 60,000 K-12 classrooms and over 400,000 students in more than 400 colleges and universities. 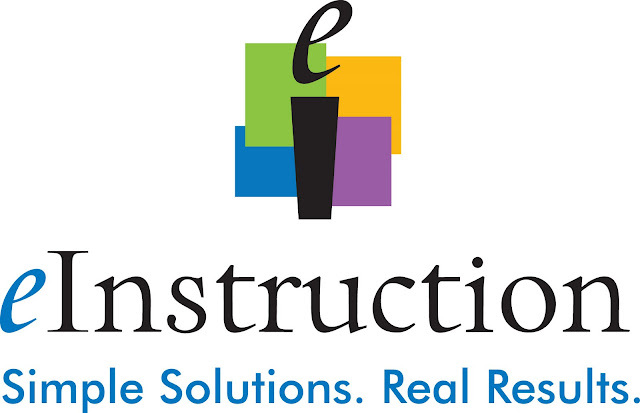 In 2006, eInstruction acquired FSCreations and integrated its ExamView® and Learning Series software and content platforms so instructors can seamlessly use publisher and proprietary question banks in lesson plans, quizzes and tests with eInstruction technology. The result is an integrated system for instruction and assessment with real-time feedback. Interwrite Learning™ is a premier global provider of interactive learning solutions for primary, secondary and higher education markets. Interactive solutions, including the Interwrite™ Board, Pad and Panel all come with Interwrite Software, a robust software package that includes thousands of images and resources to create dynamic and exciting lessons in an interactive learning environment. Interwrite™ PRS, available in infrared, radio-frequency and “virtual” software configurations, is a powerful student response system that combines interaction and assessment to enhance classroom productivity and improve student results. Interwrite Learning™ has a rich 32-year history of delivering interactive solutions that are changing how the world learns.